Acupuncture That Works Cheshire › Posts Tagged "Depression"
Over the last couple of years, I have been suffering badly with stress, anxiety and depression, I had been to the doctors a few times and all they wanted me to do was take some pills. I didn’t want to go down this route and tried almost everything to help me feel better naturally. With a fear of needles, my last resort was to try acupuncture! Best decision I have made. I wish I could put across just how much acupuncture and Cath has helped me, from my first visit I was put at ease and literally felt my stress levels melt away from the first needle going in. I have since been going weekly and I am like my old self again! Can’t thank Cath enough for what she has done for me. Anyone who is in two minds please just give it a go even if terrified of needles or think it wouldn’t work give it a go and you will be amazed. A weekly visit of acupuncture with Reiki has done more for me than anything doctors have done for me. According to the British Acupuncture Council ‘around two thirds of adults will experience depression at some point in their lives severe enough to interfere with normal activities’. Depression is a very common mental health problem which affects people from all walks of life regardless of gender or age. Acupuncture is believed to help depression by stimulating the nervous system which alters the brains’ mood chemistry, increasing the production of serotonin to promote a better mental and physical wellbeing. By stimulating certain acupuncture points studies have shown that it can affect areas of the brain which can reduce stress and pain and well as promoting relaxation by deactivating the ‘analytical’ part of the brain, responsible for anxiety. The British Acupuncture Councils website shows supporting evidence for the benefits of acupuncture for individuals suffering from depression. 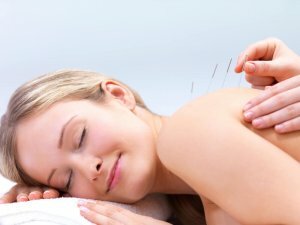 According to a systematic reviews drawing on both Chinese and western data it was found that ‘acupuncture was similar in effectiveness to anti-depressant medication’. Acupuncture can also be combined safely with medication such as anti-depressants to help reduce the side effects and promote the beneficial effects. Acupuncture That Works can offer a range of treatments which could help if you are suffering from depression. For a free initial consolation and to find out more please call us on 0800 051 76 88.